A great upgrade for the stock 7.3 Powerstroke turbo is an upgraded wastegate controller. 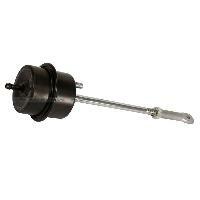 On a stock turbo wastegate the actuactor rod moves with very little boost creating a power loss. This wastegate includes a larger diaphram and spring system to keep more boost longer and produces more power with better economy. This is a good upgrade with a compressor wheel and 1.0 turbo housing. The stock OEM wastegate is effective for normal boost pressures, but when the engine is upgraded or modified the oem wastegate opens too early. 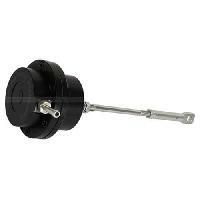 The factory wastegate has a soft spring opening early which causes power loss. More boost with the accompanying fuel creates more power. 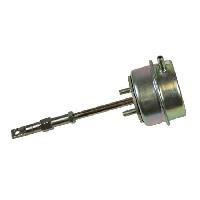 The Banks Power BigHead Wastegate Actuator for the 7.3 Powerstroke features twice the diaphragm area and spring pressure of the stock wastegate. When turbo exhaust back pressure increases, the stock actuator prematurely blows off the seat. 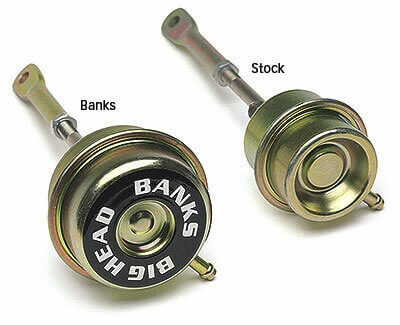 With the Banks BigHead Wastegate Actuator, it keeps the valve seated longer and achieves a higher peak boost, sooner. 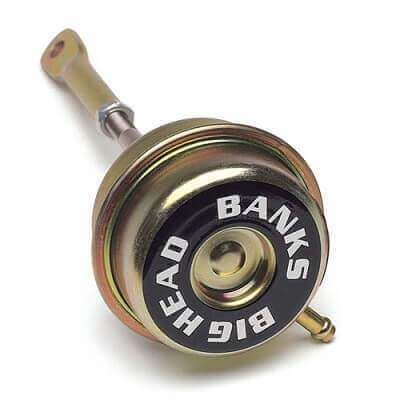 At peak, BigHead opens the wastegate and holds its position, for precise boost control that gives you crisp acceleration and more mid-range pulling power. I like the way it looks in the engine bay. Gives a little bling and works great. My peak boost is up 6 psi.